Beverly & Adam celebrate their union after marrying at the Ritz-Carlton Powerscourt outside of Dublin. Beverly & Adam are really a sweet couple and being a part of their wedding day in Ireland as well as getting to know them and their many family & friends who were on hand during this beautiful day was a real treat. It is not often I am asked to shoot a large Orthodox Jewish Wedding with photographers, Edmund Ross and Claire Durkin (who are two of my favorite photographers in Ireland)! So when Edmund asked if I was interested in coming up and being a part of his team I jumped at the chance. Edmund Ross Studios is one of the oldest if not the oldest photo studio in Dublin and they are well known for creating some of the most beautiful traditional wedding photography in Ireland. Plus Edmund is a truly gifted photographer, one whom I always learn something new from and I always enjoy working with him. When it comes to wedding photography Ireland is still a very traditional country so while Edmund & Claire concentrated on capturing their beautiful group shots, I was tasked with creating reportage images of this wonderful wedding day. Not an easy task when time is short and the wedding party is 500 plus people and there are many traditions that needed to be covered. But looking at the work created by the three of us on behalf of Beverly & Adam all I can say is Wow! They truly will have an incredible wedding album and I am very pleased to have contributed a small part to it. 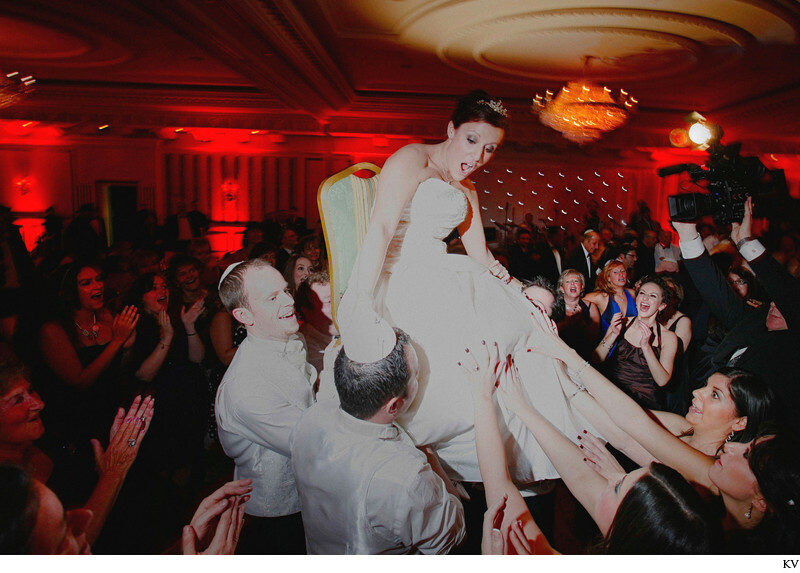 Keywords: bride aloft (3), dancing (12), destination weddings (177), funny moments (6), Jewish wedding (3).